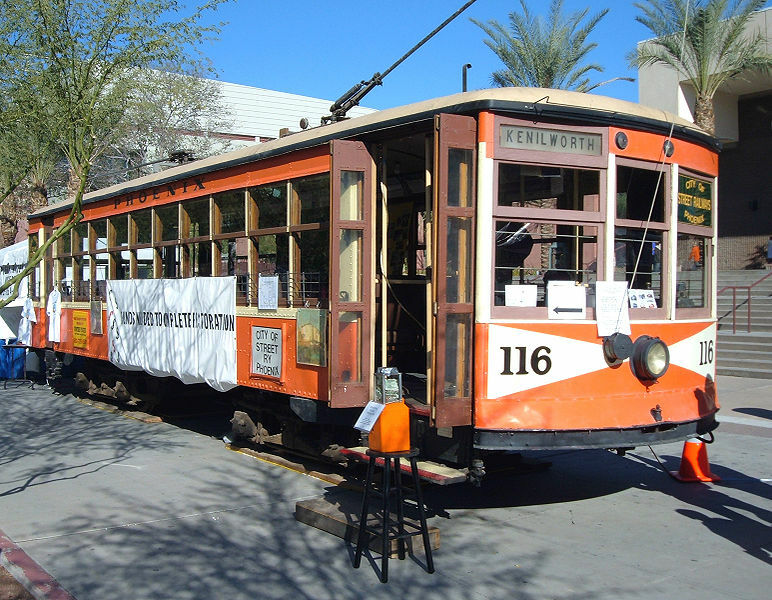 The Phoenix streetcar system on the last day of service on the Brill (No.1) route. DISCONTINUATION DATES OF TRAM TRACKS BETWEEN 26 APR. 1946 AND 16 FEB. 1948 (affected route numbers in parantheses). 1 Brill Downtown - Pierce St. - 10th St. - Sheridan St.
2 Washington St. 22nd Av. - Washington St. - 16th St.
3 Kenilworth Downtown - 5th Av. - Encanto Blvd. 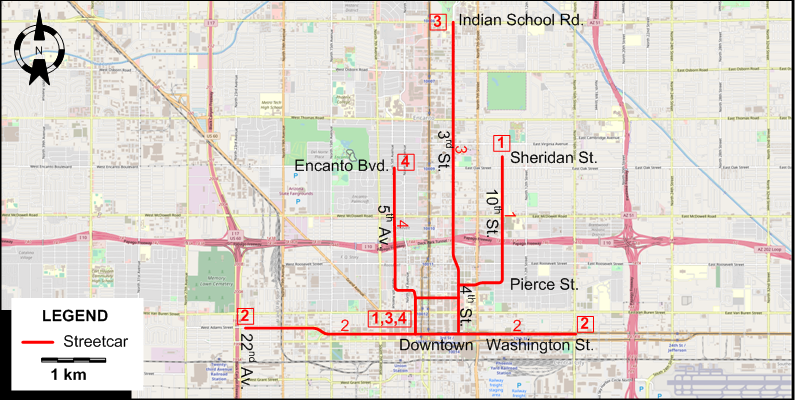 4 Indian School Downtown - 4th St. - 3rd St. - Indian School Rd.